Question 4 (2016) results by town. Towns with a majority of “yes” votes in green and towns with a majority of “no” votes in red. Legal status of recreational marijuana retail shops in Massachusetts by town as of October 29, 2018. Towns in red have implemented permanent bans, towns in yellow have implemented moratoriums, and towns in green have not implemented a permanent ban or a moratorium. Cannabis in Massachusetts relates to the legal and cultural events surrounding the use of cannabis. A century after becoming the first U.S. state to criminalize recreational cannabis, Massachusetts voters elected to legalize it in 2016. In 2008 Massachusetts voters decriminalized the possession of small amounts of marijuana. Massachusetts became the eighteenth state to legalize medical marijuana when voters passed a ballot in 2012, even though the federal government still lists marijuana as a Schedule 1 controlled substance with no medical value. Recreational marijuana is legal in Massachusetts as of December 15, 2016, following a ballot initiative in November of that year. Recreational marijuana is regulated and taxed but legal in Massachusetts, with retail sales from licensed dealers becoming legal on November 20, 2018. Legalization occurred in staging, with decriminalization followed by legal medical marijuana before full legalization. In 1911 (some sources state 1914) Massachusetts became the first state to restrict cannabis on a state level, prohibiting the sale of “Indian hemp” without a prescription. On November 4, 2008, Massachusetts voters passed a ballot that decriminalized the possession of small amounts of marijuana. The Massachusetts Sensible Marijuana Policy Initiative made the possession of less than one ounce of marijuana punishable by a fine of $100 without the possessor being reported to the state’s criminal history board. Minors also had to notify their parents, take a drug awareness program, and complete 10 hours of community service. Before decriminalization, people charged faced up to six months in jail and a $500 fine. The law went into effect January 2009. On November 6, 2012, 63% of Massachusetts voters approved Question 3, the Massachusetts Medical Marijuana Initiative. The law took effect on January 1, 2013, eliminating criminal and civil penalties for the possessions and use of up to a 60-day supply of marijuana for patients possessing a state issued registration card. With a recommendation by a physician, patients with cancer, glaucoma, and other medical conditions can receive a registration card. The law allows for 35 state-licensed non-profit dispensaries. The Massachusetts Department of Public Health has until May 1, 2013 to issue further regulations. Marijuana dispensaries will not be able to open until after the regulations have been set. The Massachusetts Medical Society opposes the bill, saying there is no scientific proof that marijuana is safe and effective. After the law passed, towns attempted to ban dispensaries. Attorney General Martha M. Coakley ruled that cities and towns cannot ban dispensaries, and can only regulate them. Complete bans would conflict with the law. In the November 8, 2016 election, Massachusetts voters passed a ballot initiative (Question 4) making recreational cannabis legal in the state. Provisions for home use and cultivation went into effect on December 15, 2016. Individuals are allowed to possess and purchase up to one ounce at a time, and if driving it must be locked up and not openly visible. Each household can grow up to six plants, or twelve for those with more than one adult, but the plants cannot be visible from the street. Households can store up to ten ounces, or more if harvested from a home crop. Smoking marijuana on public property, including parks and sidewalks, is illegal, as is smoking it while driving. An unlicensed sale (including barter) is illegal for the seller but not the buyer; giving away home-grown marijuana for free is allowed. Governor Charlie Baker signed legislation on December 30, 2016 extending the start date for legal licensed recreational cannabis sales by six months, to July 2018. The ban eventually lasted 8 months. The law legalizing recreational cannabis in Massachusetts was signed into effect on July 28, 2017. It is codified at G.L. Ch. 94G. The law permits an individual to carry up to 1 ounce on their person and have up to 10 ounces in their home. Cities and towns have the power to require permits, block recreational stores from locating in certain areas (through zoning bylaws) or from locating in the municipality at all. However, the law mandates that a ban must be approved by a local referendum if the majority of voters in the municipality were in favor of the statewide Question 4; otherwise, the city council can approve a ban on its own. Applicants must also hold a community meeting and negotiate an agreement with the host municipality in order to get a state license. As of March 2018, 59 municipalities had enacted a permanent ban, and 130 had enacted a temporary moratorium (all of which end sometime in 2018). Retail and medical marijuana businesses must also negotiate a Community Host Agreement with the city or town in which it is located pursuant to Massachusetts Law. Cities and towns are permitted to assess a community impact fee of up to 3% of the businesses annual revenue. The agreement may be in place for no more than 5 years. However, towns and cities throughout Massachusetts have not followed these requirements. Retail sales have a 10.75% excise tax on the marijuana, on top of the general 6.25% state sales tax, and up to a 3% local option tax, for a total of 17%–20% tax. Treasurer Deborah Goldberg unilaterally increased the excise tax to 10.75% from the 3.75% approved by voters in the language of ballot question. The first recreational license for cultivation only was granted on Jun 21, 2018, so no sales occurred on the first day of legalization, July 1. New licensees have to wait for approval before planting, so existing medical dispensaries that expand to recreational sales have a competitive advantage, but must also wait for recreational approval. Licensing of delivery services (other than for medical marijuana) was further delayed by the Cannabis Control Commission, as was that for on-site consumption. The first two stores opened on November 20, 2018, in Northampton and Leicester, after testing labs had been approved and begun operations, and the stores received final sign-off. During the first week of sales, excluding Thanksgiving Day where both locations were closed, $2,217,621.13 in sales was sold between the two locations. Between November 20, 2018 and January 20, 2019, consumers purchased nearly $24 million on recreational marijuana products and the state has received about $4 million in tax revenue. As of late January 2019, the state now has nine stores licensed to sell recreational marijuana. Massachusetts Governor Charlie Baker, along with the Speaker of the State House of Representatives Robert DeLeo, State Attorney General Maura Healey, State Treasurer Deb Goldberg, and Boston Mayor Marty Walsh, opposed the 2016 ballot initiative to legalize the recreational use of marijuana in the state, but after its passage stated “Our view on this is the people spoke and we’re going to honor that, but we need to make sure that we implement this in a way…[that protects] public safety and [ensures] that only those who are supposed to have access to these products will.” The month following the ballot initiative’s passage, Baker signed into law a six-month delay in the issuance of licenses for retailing marijuana in shops from January 2018 to July 2018, and in July 2017, signed into law a compromise bill that increased the excise tax on marijuana sales, expanded the size of the Cannabis Control Commission created by the ballot initiative, mandated background checks for Commission and marijuana shop employees, shifted control of the state’s medical cannabis program from the Massachusetts Department of Public Health to the Commission, and created rules for town governments to restrict or ban marijuana shops based on the results of the 2016 ballot initiative within their jurisdiction. In August 2017, Baker appointed State Senator Jennifer Flanagan to the Cannabis Control Commission and five members of the Cannabis Advisory Board that advises the Commission, and the following month, the Commission met for the first time. In January 2018, Baker proposed a $7.6 million budget for the Commission in his state budget proposal for fiscal year 2019. Also in January 2018, after U.S. Attorney General Jeff Sessions rescinded the Obama Justice Department‘s Cole Memorandum, as well as making personal requests to congressional leaders to not renew the Rohrabacher–Farr amendment in the previous year, Baker expressed opposition to the rescission, with his administration stating that it “believes this is the wrong decision and will review any potential impacts from any policy changes by the local U.S. Attorney’s Office”, and Baker reiterated his support for implementing the legal and regulated recreational marijuana market as passed by voters on the 2016 ballot initiative. In addition, Baker has also expressed concerns about federal prosecutors creating confusion and uncertainty in states where marijuana has been legalized for either medical or recreational usage, and argued that the Massachusetts U.S. Attorney’s Office, instead of prosecuting local marijuana businesses, should focus its resources on resolving the opioid epidemic in the state (identifying fentanyl in particular). After meeting with the incoming U.S. Attorney Andrew Lelling in February 2018, Baker stated the following month that Lelling “made pretty clear his primary focus is going to be on fentanyl and heroin“, and that after speaking with governors in other states with legal recreational marijuana markets at a National Governors Association meeting, Baker said that he “did not get the impression any of them felt there had been a significant change in their relationship with the U.S. attorneys in their states as a result of the change in the administration… because people are pretty focused on the opioid issue.” Also in February 2018, Baker argued that the Cannabis Control Commission should create its regulatory framework in incremental steps by prioritizing marijuana shops over cafés, saying “that if they try to unwrap the entire package straight out of the gate, the role and responsibility they have as an overseer and as a regulator is going to be compromised”, reiterating that the purpose of legalization was to create a “safe, reliable, legal market” in the state. In March 2018, The Boston Globe reported that 189 of the 351 Massachusetts cities and towns had either indefinitely or temporarily banned retail marijuana stores. In June 2018, Baker, along with 11 other governors, wrote a letter to Speaker of the U.S. House of Representatives Paul Ryan, U.S. House Minority Leader Nancy Pelosi, U.S. Senate Majority Leader Mitch McConnell, and U.S. Senate Minority Leader Chuck Schumer urging the passage of the bipartisan STATES Act sponsored by Massachusetts Senator Elizabeth Warren and Colorado Senator Cory Gardner. In the same month, Massachusetts Attorney General Maura Healey ruled that municipalities with moratoriums on recreational marijuana sales would be allowed to extend them for another year. On the same day, the Commission voted unanimously to grant the first recreational marijuana retail license to a medical dispensary in Leicester. In November 2018, after the Cannabis Control Commission approved their final business licenses the previous month, the state’s first two retail marijuana shops opened in Leicester and Northampton and the two shops recorded $2.2 million in sales of marijuana products during their first week. The following month, the Cannabis Control Commission approved licenses for retail stores in Salem, Easthampton, and Wareham, and Cannabis Control Commission Chair Steven Hoffman estimated that the state would begin to see four to eight new retail stores opening each month. Nantucket and Martha’s Vineyard are islands which are separated from the mainland by federal waters. The state medical marijuana law requires a dispensary in every county; each island is its own county, but the problem of federal jurisdiction has created a legal hurdle to shipping mainland-grown product to the islands. State law requires marijuana grown on the island to be tested in state labs, which are located on the mainland, so crossing through federal jurisdiction is also a problem for growers. Though the Steamship Authority is run by the state, anyone transporting marijuana by sea could be subject to arrest by the United States Coast Guard. Similar problems exist in transporting marijuana to and from islands in Hawaii and Washington State, but as of 2018 it appears the Coast Guard has not taken enforcement action against those legally possessing marijuana under state law, despite asserting it will do so. The Federal Aviation Administration could terminate the license of a pilot knowingly transporting marijuana, but there is some legal question as to whether air transport of marijuana authorized by state law is acceptable under an FAA regulation with ambiguous wording. The Transportation Security Administration does not have the legal authority to enforce federal law, only to protect the security of aircraft. Illegal drugs found by TSA at airport security checkpoints (which are not in the scope of what they are searching for in the first place) are referred to local law enforcement; in Massachusetts possession of under one ounce is legal, so state police will take no action. People transporting marijuana by plane are subject to arrest by the Federal Bureau of Investigation, Drug Enforcement Agency, Federal Air Marshal Service, though in practice minor violations are typically referred to local law enforcement. 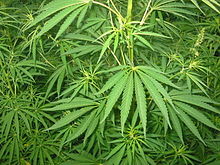 Marijuana is the most common illegal drug used in the United States. A 2007 survey showed that over 100 million US citizens over the age of 12 have used marijuana. More teenagers are current users of marijuana than cigarettes. The following chart shows percentages of Massachusetts’ population’s marijuana usage using data from the Substance Abuse and Mental Health Services Administration based on surveys from 2010 and 2011. Assessing the total cultivation of marijuana in the United States was difficult, and even more difficult by a statewide basis due to the illegality of the drug. In the ballot of 2016, growing and cultivating the plant was legalized. In 2006 it was estimated that there was 22 million pounds of domestic crop. Including the imported crop from Mexico and Canada, Dr. Jon Gettman estimates there is approximately $100 billion worth of crop available in the United States. Gettman’s study, Marijuana Production in the United States, shows that Massachusetts ranks 44th marijuana cultivation by state, producing 12,700 lbs. of marijuana worth $20 million. The Boston Freedom Rally is an annual event on the third Saturday in September. It is the second largest annual gathering demanding marijuana law reform in the United States. The Massachusetts Cannabis Reform Coalition organizes the event. The event began in 1989, and has been held on the Boston Common since 1992. The city of Boston has tried to stop the event, but has been unable to do so. ^ a b Jarmanning, Ally; Fujiwara, Daigo (June 28, 2018). “Where Marijuana Stores Can — And Can’t — Open In Mass”. WBUR. Retrieved June 28, 2018. ^ Miller, Joshua (8 November 2016). “Mass. voters say ‘yes’ to legalizing marijuana”. The Boston Globe. Retrieved 9 November 2016. ^ a b c Abel, David (November 4, 2008). “Mass. voters OK decriminalization of marijuana”. Boston.com. Retrieved March 30, 2013. ^ Altieri, Erik (November 6, 2012). “Massachusetts Becomes 18th State to Legalize Medical Marijuana”. NORML. Retrieved March 30, 2013. ^ a b Blair, Russell (November 8, 2016). “Recreational Marijuana Passes In Massachusetts”. Hartford Courant. ^ a b “2010-2011 National Survey on Drug Use and Health Model-Based Estimates” (PDF). Table 2 and 3. Retrieved April 2, 2013. ^ a b “Mass Cann”. MASS CANN. Retrieved March 31, 2013. ^ Ronald Hamowy (1 January 2008). Government and Public Health in America. Edward Elgar Publishing. pp. 234–. ISBN 978-1-84720-425-7. ^ Dale H. Gieringer; Ed Rosenthal; Gregory T. Carter (2008). Marijuana Medical Handbook: Practical Guide to Therapeutic Uses of Marijuana. Quick American. pp. 117–. ISBN 978-0-932551-86-3. ^ a b “General Laws”. 188th General Court of the Commonwealth of Massachusetts. Retrieved March 30, 2013. ^ Crimaldi, Laura (January 27, 2008). “Marijuana measures head to voters”. Boston Herald. ^ a b “Medical marijuana law passes in Massachusetts”. CBS News. Retrieved April 2, 2013. ^ “Massachusetts Medical Marijuana”. NORML. Retrieved March 30, 2013. ^ Stilts, Josh (March 15, 2013). “Massachusetts medical marijuana dispensaries may open this summer”. The Berkshire Eagle. Retrieved April 2, 2013. ^ G.L. ch. 94G § 4. ^ Pot shops face bans in most of Mass. ^ Scarboro, Morgan (2017-08-01). “Massachusetts Increases Marijuana Tax Rate”. The Tax Foundation. Retrieved 2018-01-03. ^ Dumcius, Gintautas (2016-08-05). “Treasurer Deb Goldberg says proposed tax rate for legal marijuana in Massachusetts is too low”. Mass Live. Retrieved 2019-02-14. ^ Senne, Steven; Salsberg, Bob (20 November 2018). “Recreational marijuana sales began in Massachusetts. Here’s how it went. Cultivate in Leicester and New England Treatment Access (NETA) in Northampton made history Tuesday morning”. Boston.com/AP. ^ MacNeill, Arriana (27 November 2018). “Here’s how much was spent on recreational marijuana in the first week”. Boston.com. ^ Gans, Felicia (2019-01-24). “In first 2 months of legal pot sales, public spent nearly $24m”. The Boston Globe. Retrieved 2019-01-25. ^ Schoenberg, Shira (April 14, 2016). “Gov. Charlie Baker, Speaker Robert DeLeo team up to create anti-marijuana legalization ballot committee”. MassLive.com. Advance Publications. Retrieved April 22, 2018. ^ a b Levenson, Eric (March 7, 2016). “Massachusetts’s most powerful politicians come out against legal marijuana”. Boston.com. Boston Globe Media Partners. Retrieved April 22, 2018. ^ Dumcius, Gintautus (October 5, 2016). “Treasurer Deb Goldberg says proposed tax rate for legal marijuana in Massachusetts is too low”. MassLive.com. Advance Publications. Retrieved April 22, 2018. ^ Dumcius, Gintautas (November 9, 2016). “Legal marijuana: Gov. Charlie Baker says new law should be implemented ‘briskly‘“. MassLive.com. Advance Publications. Retrieved April 19, 2018. ^ Dumcius, Gintautas (December 30, 2016). “Massachusetts Gov. Charlie Baker signs new law delaying retail pot shops”. MassLive.com. Advance Publications. Retrieved January 5, 2017. ^ Dumcius, Gintautas (July 25, 2017). “Massachusetts marijuana laws got a Statehouse rewrite. Here’s what you need to know”. MassLive.com. Advance Publications. Retrieved April 18, 2018. ^ Dumcius, Gintautas (August 23, 2017). “Massachusetts Gov. Charlie Baker appoints state Sen. Jennifer Flanagan to Cannabis Control Commission”. MassLive.com. Advance Publications. Retrieved April 18, 2018. ^ “Governor Baker Names Five to Cannabis Advisory Board”. www.mass.gov. August 4, 2017. Retrieved April 22, 2018. ^ Dumcius, Gintautas (September 12, 2017). “The new Massachusetts Cannabis Commission meets for the first time today”. MassLive.com. Advance Publications. Retrieved April 18, 2018. ^ Schoenberg, Shira (January 30, 2018). “Governor’s budget would give $7.6 million to marijuana oversight commission”. MassLive.com. Advance Publications. Retrieved April 18, 2018. ^ Schoenberg, Shira (January 4, 2018). “Report: AG Jeff Sessions will rescind policy letting states legalize marijuana”. MassLive.com. Advance Publications. Retrieved February 22, 2018. ^ Ingraham, Christopher (June 13, 2017). “Jeff Sessions personally asked Congress to let him prosecute medical-marijuana providers”. The Washington Post. Retrieved February 22, 2018. ^ Schoenberg, Shira (January 4, 2018). “Massachusetts Gov. Charlie Baker opposes AG Jeff Sessions’ decision to rescind policy letting states legalize marijuana”. MassLive.com. Advance Publications. Retrieved February 22, 2018. ^ Dumcius, Gintautas (January 5, 2018). “Massachusetts Gov. Charlie Baker says he’s worried about federal officials sowing confusion about legal marijuana”. MassLive.com. Advance Publications. Retrieved February 22, 2018. ^ Dumcius, Gintautas (January 9, 2018). “Instead of marijuana crackdown, federal prosecutors should focus on fentanyl, Massachusetts Gov. Charlie Baker says”. MassLive.com. Advance Publications. Retrieved February 22, 2018. ^ Young, Colin A. (March 14, 2018). “Baker: States with legal pot not worried about fed crackdown”. The Salem News. CNHI. Retrieved April 19, 2018. ^ Dumcius, Gintautas (February 8, 2018). “Massachusetts retail marijuana shops need to be in place in July, pot cafes not so much, Gov. Charlie Baker says”. MassLive.com. Advance Publications. Retrieved April 19, 2018. ^ DeCosta-Klipa, Nik (May 1, 2018). “More than half of Massachusetts has banned legal pot shops. Seth Moulton says that’s a mistake”. Boston.com. Boston Globe Media Partners. Retrieved June 20, 2018. ^ Dumcius, Gintautas (June 8, 2018). “Massachusetts Gov. Charlie Baker backs Sen. Elizabeth Warren’s marijuana bill, urges Capitol Hill leaders to pass the legislation”. MassLive.com. Advance Publications. Retrieved June 14, 2018. ^ “Under Mass. Attorney General Decision, Marijuana Moratoriums Can Last Longer”. WBUR. June 25, 2018. Retrieved June 28, 2018. ^ “Still no pot shop licenses in state, July 1 target in doubt”. WCVB. June 14, 2018. Retrieved June 21, 2018. ^ Schoenberg, Shira (July 2, 2018). “With no Massachusetts retail marijuana stores open by July 1, Gov. Charlie Baker says Cannabis Control Commission doing a ‘great job‘“. MassLive.com. Advance Publications. Retrieved July 5, 2018. ^ Congi, Sera (July 2, 2018). “First retail marijuana shop hopes to start sales within weeks”. WCVB. Retrieved July 2, 2018. ^ Young, Colin A. (October 4, 2018). “The State’s First Recreational Marijuana Shops Are OK’d For Leicester And Northampton”. WBUR. Retrieved January 5, 2019. ^ “Recreational Marijuana Sales Begin In Massachusetts Tuesday”. WBUR. November 19, 2018. Retrieved January 5, 2019. ^ “Legal Pot Shops In Mass. Sold More Than $2.2 Million In Their First Week”. WBUR. November 27, 2018. Retrieved January 5, 2019. ^ Jarmanning, Ally (December 11, 2018). “First Eastern Mass. Recreational Marijuana Store Gets OK To Open”. WBUR. Retrieved January 5, 2019. ^ a b Young, Colin A. (December 17, 2018). “Retail Marijuana Stores Given OK To Open In Easthampton And Wareham”. WBUR. Retrieved January 5, 2019. ^ Young, Colin A. (December 27, 2018). “CCC Chair Could See 8 New Marijuana Retail Stores A Month”. WBUR. Retrieved January 5, 2019. ^ Tzouvelis, Joanna (May 1, 2018). “Belmont Town Meeting approves marijuana moratorium and sales tax, plastic bag ban”. Belmont Citizen-Herald. GateHouse Media. Retrieved December 29, 2018. ^ a b What happens if you bring pot to Logan? ^ “Drug Facts: Marijuana”. National Institute on Drug Abuse. December 2012. Retrieved March 30, 2013. ^ “Marijuana Economics 101”. PBS. July 26, 2011. Retrieved April 2, 2013. ^ Gettmann, John. “Marijuana Production in the United States (2006)” (PDF). Appendix 3a. Retrieved April 3, 2013.